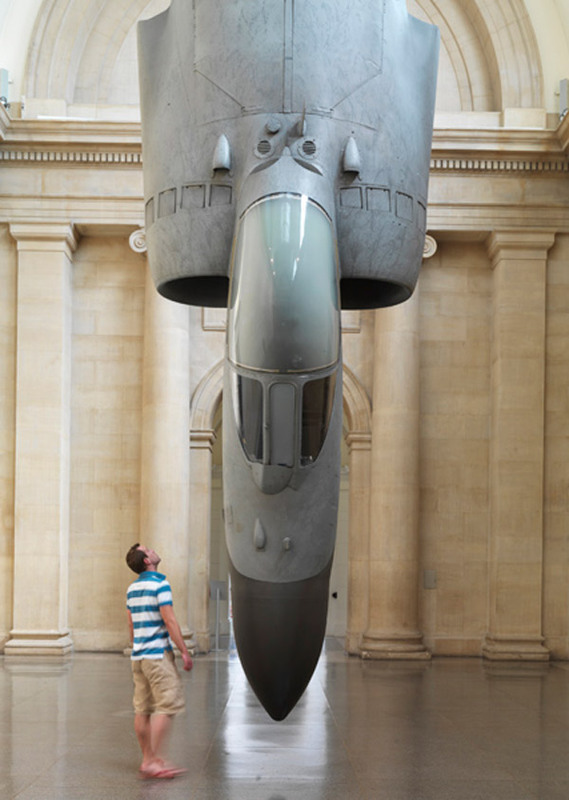 Fiona Banner is an English artist, and her most spectacular pieces of art have to be these two jets she had installed in the Tate Britain modern art museum. For Harrier and Jaguar, Fiona actually had to buy these two planes for an undisclosed amount before modifying them for her installation. 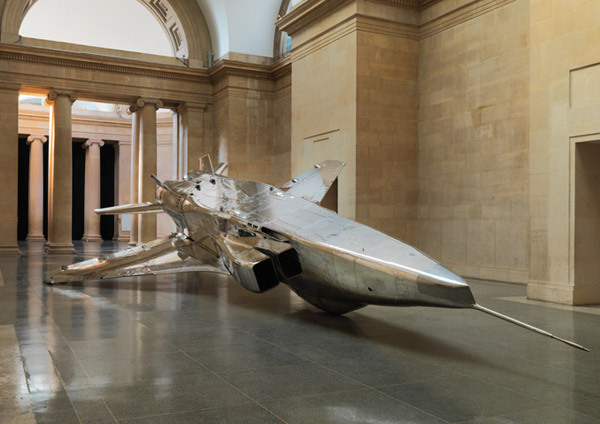 The Sepecat Jaguar XZ118 was stripped and polished to a high sheen, so that viewers can see themselves in the reflection. It’s positioned on the floor, belly up, just like a wounded bird. 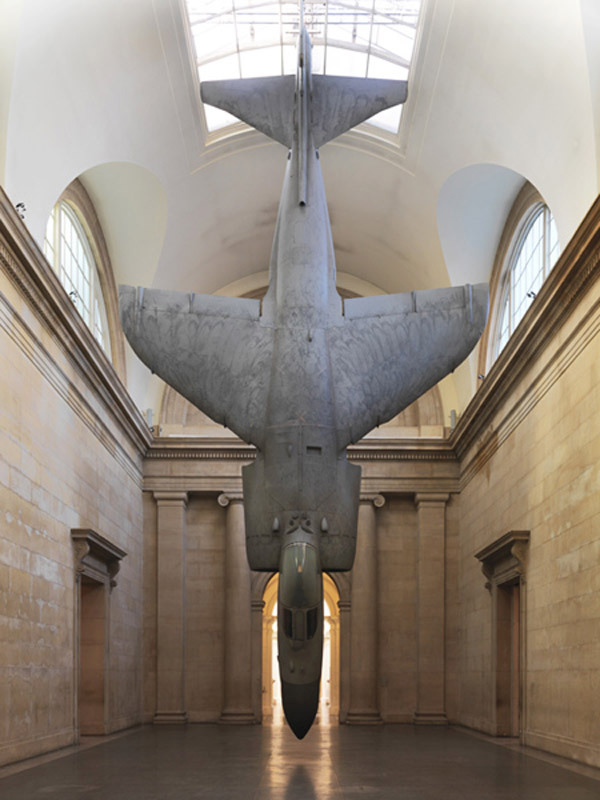 The Harrier was embellished with hand-painted feather markings, and hung up like a trussed bird so viewers could walk underneath it. Fiona is fascinated by jets and war. 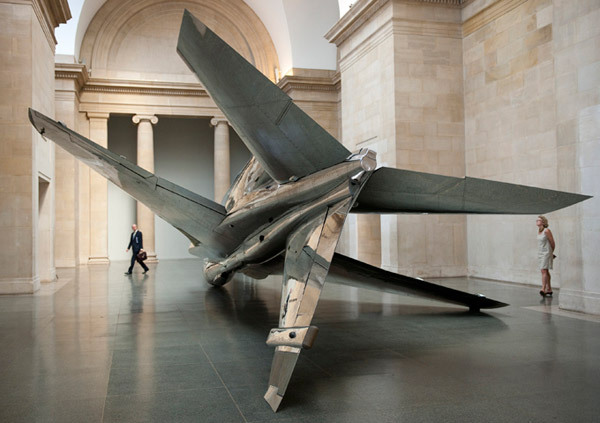 They were at the Tate Britain until early this year. I wonder where they are hanging around now?